News Lingor and Panthera Added! Everybody please install Lingor and Panthera for next coop night (Sunday the 6th). 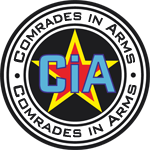 CiA Repository profiles shall be updated shortly.